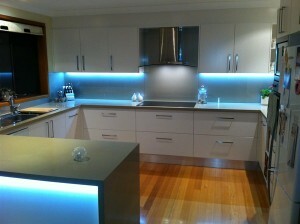 We are Sydney’s leading Kitchens Design Renovation specialists. At Kitchens In Focus we cater for all budgets and kitchen spaces. Our Kitchen Designers have over 30 years experience in the industry. We also provide a whole range of kitchen appliances, splashbacks, benchtops and many more products. The kitchen can be considered as the central headquarter of any home. Therefore the people who live inside the home should take necessary measures in order to make it look great. Kitchen designs have come to the world because of this reason and it has become a popular topic in every part of the world. Unfortunately, many clients do not have an idea about creating a nice looking kitchen for their home. Because of this reason, they will have to seek the assistance of a kitchen design expert and create the ideal kitchen for their home. There are several processes involved in kitchen designing. The design, timeline, budget are some of the things that clients should think, before giving their work to a kitchen designing expert. They should also be careful in order to select the best kitchen designing experts in the market. Out of those experts, Kitchens Sydney can be considered as the best renovation specialists who have plenty of experience in working in the industry. Designing a kitchens for a new home or for an existing home can be considered as a great investment in time, energy and money. Kitchens Sydney has been there in the industry for the past 30 years and they have gained a lot of experience and knowledge by assisting the clients in a friendly way. They offer a wide range of products and services in kitchens designing. All the designed can be customized according to the needs of the clients. They will provide plenty of customized kitchen appliances including bench tops, splashbacks and kitchen accessories including ovens, stoves, dishwashers and many more. Kitchens Sydney differs from the traditional kitchen designing companies. They have a unique 3D kitchen designing program and the clients will get the opportunity to design their kitchen in a convenient way. The clients can select the exact way that their kitchen should look with the help of this 3D program. The flexibility has been able to impress the potential clients who are looking to design their kitchen in a unique way. Sydney kitchens also offer a wide range of splashback colors and surfaces for the clients and they can select the ideal one depending on their requirements. If the color you look is not in the list, they will provide it to you manually. All the splashbacks that are available in Sydney kitchens are made out of the best available material, so their quality and durability is guaranteed. They are accurately made by the experts in the industry, so they will fit well to your kitchen as well. Sydney Kitchens will also provide installation services for all the splashbacks and the clients will not have to worry about anything. Sydney Kitchens also offer a wide range of benchtop options including marble, granite, stainless steel and many more. They will provide all the quality appliances you need for your home at a cheaper price. Therefore seeking the assistance of a kitchen designing company can be considered as a great investment done for the future of your home.